With a tradition of value, the Tradition neighborhood of Litchfield homes for sale features the acclaimed Tradition Club Golf Course as its focal point. 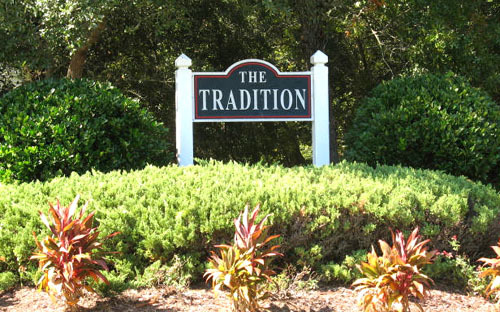 If you are looking for low country luxury living and the scenic beauty of living on the greens, the Tradition is your best place to start! Homes here are priced from $250,000 to $569,000 with a community swimming pool, tennis courts and optional beach access with Litchfield Country Club. Let Century 21 The Harrelson Group be your guide to these fine Litchfield homes or many great Myrtle Beach homes for sale. We’re just a phone call away.